I had my first baby in hospital when I was eighteen years old and though young, I had always had a strong desire to labor and birth naturally. I believed that a drug free birth equaled a natural birth. 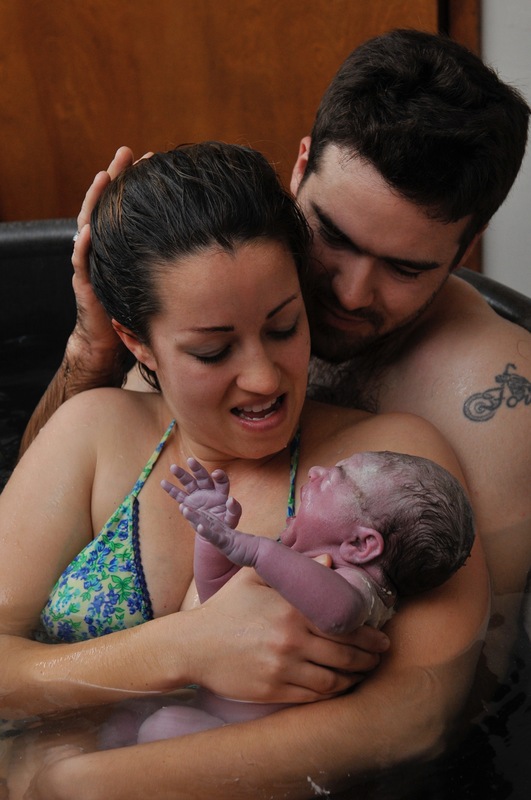 Birth can be a wonderful, empowering event that nearly every woman is capable of experiencing. I could not imagine surrendering this rite of passage to drugs or hospital procedures. Having had two ‘natural’ hospital births put me in a unique position of understanding the difference between a natural hospital birth and a home birth. I am now pregnant with my fourth child and my love of labor and birth continues to grow. Prior to the home birth of my third child, giving birth anywhere except in a hospital was not a known option to me. While the births of all of my children have been unique, and sacred experiences I would like to tell you the story of Noah’s (my third) home birth. Hopefully my story will encourage women who are considering their options, to consider having their baby at home. Noah was born in the water on February 17, 2007 in the comfort of my own bedroom. The first hands he felt caress his tiny head were his mother’s, followed by his father’s and then his sisters. It was a magical feeling to reach down, feel my baby and bring him to my heart with my own hands. My wish is to help every woman have this opportunity. In addition to the beauty and sacredness of the birth itself, being able to labor in my own home was a comfort that no hospital or birth center could duplicate. Aside from the obvious benefits of not having to decide when to go to the birth site, deal with unknown staff, make sure the infant car seat is installed and a bag is packed, endure endless questions from staff between contractions upon arrival, and sleep interrupted by nurses trying to do their jobs, being at home, I felt my labor progressed better surrounded by my own comforts. I didn’t realize that I was in active labor until I was close to transition. Up until that point I was listening to CD’s, sitting on my birth ball, visiting with my husband and children and making phone calls to distant family members. There is a smile on my face in my labor pictures depicting the joy and ease I felt as I prepared to meet Noah. There is nothing that compares to recovering from childbirth in your own bed. Noah was born at 10:37 pm and shortly after midnight the 3 of us, mommy, daddy and newborn were snuggled in our bed. The bedroom was clean, laundry used during the birth was washing and our midwives were quietly letting themselves out our front door, with their promise to be back tomorrow. I will always remember that moment, looking down at Noah while he nursed peacefully and at my husband as he slept (also peacefully!) and thought “That’s it?, I just gave birth 2 hours ago and I am in my own bed with my beautiful, perfect baby boy beside me. Wow!, that was too easy”. Perhaps ‘natural’ would be a better word to describe that feeling. After six years and three children I had finally obtained my truly natural birth. There was a special spirit that permeated our home those first few days after Noah’s birth. I was very protective of my home, this sanctuary for our littlest one. I kept visitors to a minimum, as I did not want any part of the ‘world’ to interrupt these precious first days together. My 2 older children accepted Noah right away and the time we spent falling in love with our newest family member is a cherished memory. I understand that hospitals and doctors and nurses have their place, yet every woman who is low risk and willing to have her baby at home, should be encouraged. I am forever faithful to the model of home birth and I would never want to go back to a hospital to give birth. 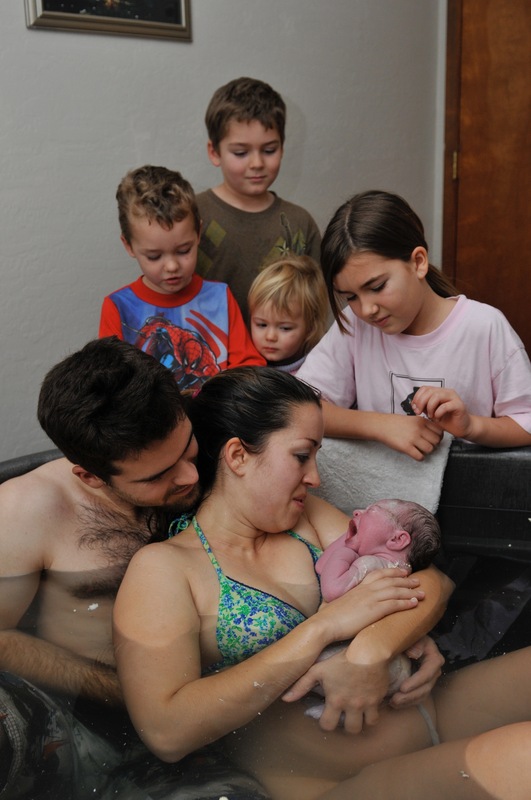 In my opinion, home birth is the way a natural birth happens best, taking childbirth back to its roots, allowing the natural hormones, and processes to work smoothly. Bringing a child into this world is a sacred experience in any setting, and birthing at home enables the baby and it’s family to enjoy all the blessing that come with the miracle of a natural birth. 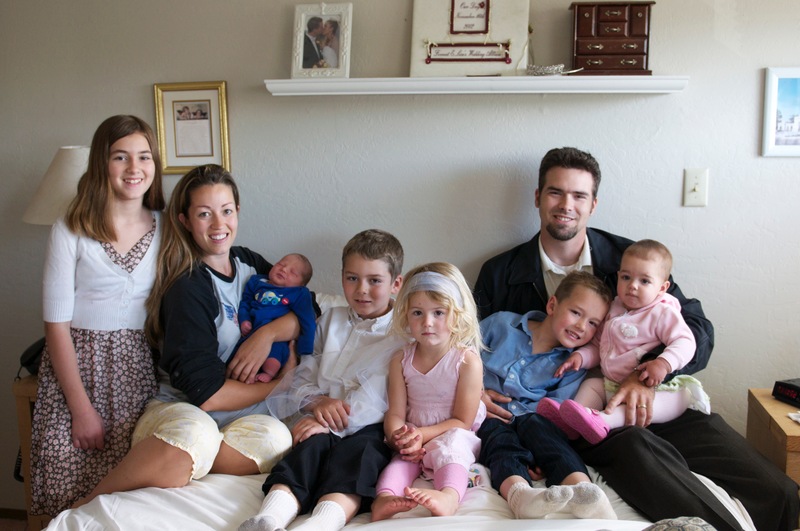 Her photos are a combination of her home born babies as the family that shared in each of their births. Post Script: Since my first home birth, I have had 3 more wonderful home deliveries, followed by a set of surrogate babies which benefited so much from midwifery care. I have become a doula, and am on a life path of becoming a midwife myself once my own babies get a little older.